Can you sow a few extra seeds to swap or share? – Sow a few extra seeds this Spring. – Bring along your spare seedlings. – Take cuttings or divide perennial plants. – Save your seeds to share. Please let us know if there are particular plants that you’d like to be able to pick up from our Plant Swap, and we’ll ask our network if anyone can bring them along. We’ve already been asked for Cardoons, Globe Artichokes, Patty Pan Squash, Dill, Peppers and soft fruit. Please let us know about anything you can bring, or anything you’d like to get – and we’ll do our best to find it. You’re very welcome to join us between 10am and 1pm on Saturday 20th May at Newsome Scout Hall to swap or share whatever you’ve grown and to meet other local food growers. Full event details will be available on our web site nearer the time. Come and join us for an informal, fun planting session. 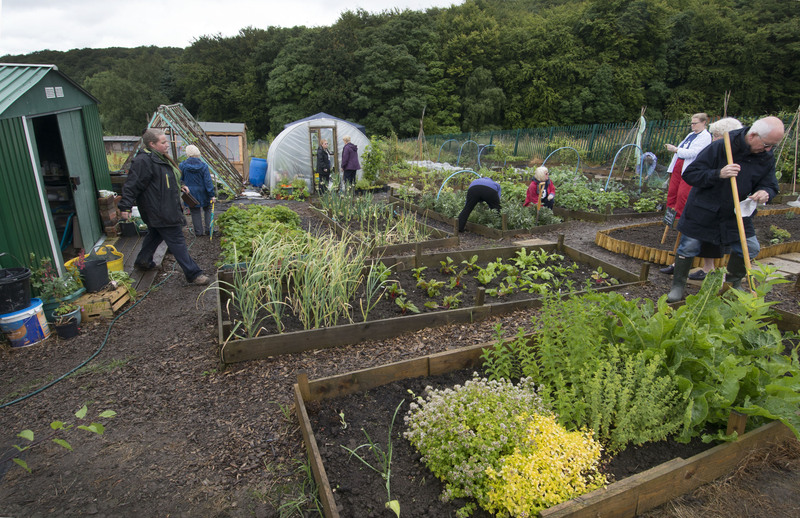 Help us to start planting up our community allotment with vegetable seeds this Spring. Meet other local growers and take a tour of our plot. You can sit down in our potting shed to sow some seeds, or plant some vegetables out in our plot. Everyone is welcome. Refreshments provided. We have space undercover in case it rains!